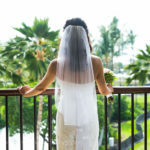 Kona wedding photographer, Bob Brown, photographed this wedding on the Mauna Lani grounds on the West Coast of the Big Island of Hawaii. It was the couple and their parents, and a sea turtle. 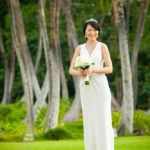 The couple is on Keiki beach right on the grounds of the resort. 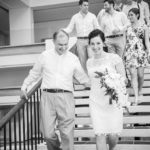 The couple went with an hour of photography, just enough time to capture the ceremony, portraits and a few shots of the dinner at the Canoe House.